Pattonville High School social studies teacher Katherine Korte organized and facilitated a regional Global Teaching Dialogue after being awarded a $5,000 grant from the U.S. Department of State Bureau of Educational and Cultural Affairs (ECA). Two Pattonville students also assisted by serving as a panelist and panel moderator. The federal grant is eligible to alumni of ECA teacher exchange programs and Korte is an alumnus of the Fulbright Teachers for Global Classroom Program 2017, Morocco. The 2019 Midwest Global Teaching Dialogue took place on Jan. 5 at the Missouri History Museum. The goal of the dialogue was to bring high-quality professional learning centered around global education to teachers in the region. The conference included a keynote presentation by Dr. Jennice McCafferty-Wright of Missouri State University, five breakout sessions and a panel discussions on "Preparing Youth for a Global Economy and Community." Many regional educators presented in this conference including educators from Parkway and Ritenour school districts and Saint Louis and Webster universities. Additionally, Pattonville senior Aric Hamilton served as the panel facilitator. In his role, Hamilton worked with Korte and Betsy Devlin-Foltz from the ECA to create topics and questions for the panelists. He also had the responsibility of introducing the five panel members and keep the panel conversation on point and on time. Pattonville senior Marius Ignat was the second student participant. Ignat is an exchange student from Romania studying at Pattonville through the Future Leaders Exchange Program (FLEX). FLEX is a merit-based scholarship program sponsored by the U.S. Department of State and open to students from Eastern Europe. 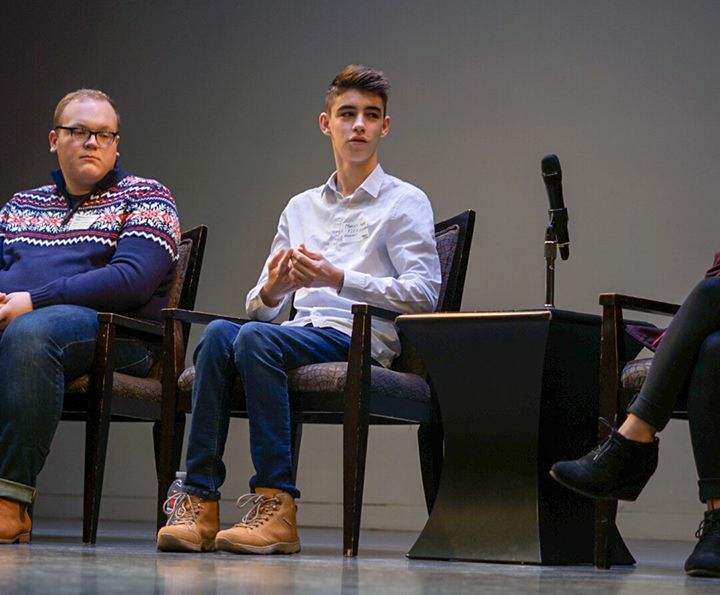 Ignat participated on the student panel discussing the impact of student exchange programs and the importance of global education to 21st century learners. Global education can be defined as the skills, understanding and aptitudes needed to be successful in a global economy and diverse communities. Global education is centered around four global competencies: global inquiry and investigations, understanding diverse perspectives, cross cultural communications and developing agency. Senior Aric Hamilton leads a panel discussion at the Global Teaching Dialogue at the Missouri History Museum. Senior Marius Ignat, center, discusses his experience with a student exchange program. Pattonville teacher Katherine Korte, standing, received a federal grant to organize and facilitate the Midwest Global Teaching Dialogue.